as per his strong request, we welcome a Japanese music industry legend! Please enjoy this almost entirely uncut, one-and-a-half hour discussion of theirs. Koide: I’ve been doing this serialization for around five years now, and ever since it first started I always hoped that for the final edition I could have you as my guest. Not only are you the person who made me get deeply hooked on idol music, I also greatly respect you as a songwriter, lyricist, and producer. I’d like to take this opportunity today to ask you about all kinds of things. Koide: Next year, Morning Musume will be celebrating its 20th anniversary. That also means it has been 20 years since you first started doing producing work. Tsunku♂: It might actually be closer to 21, if you count the auditions. Koide: I once read somewhere that when the whole Morning Musume project started, the way you first envisioned it was that on New Year’s Eve of the year they released “Morning Coffee,” they would appear on Kouhaku Uta Gassen and break up right then and there, in spectacular fashion. Tsunku♂: Well, take a group like Onyanko Club for instance. They have this image that they were around forever when in reality they were only active for about two and a half years. It seems to me like they dissolved at just the right time. Koide: Morning Musume, however, has continued to exist for two decades. Hashimoto Shin, who is apparently still the person in charge of supervising the musical production of H!P, was also previously a guest on this serialization. While there have been member changes as well as changes on the production side, what are your thoughts on one single group having managed to exist for such a long time? Tsunku♂: On the topic of Hello! Project’s current musical production, I don’t think there actually is anyone who is really in that sort of a supervisory position. 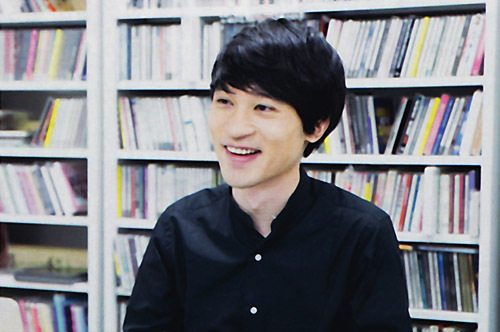 It was only through reading this magazine that I personally found out that they first started looking for other songwriters because I was sick… (laughs) Today, I think it’s the entire company making decisions on the songs and their policies and such. But all that aside, I feel that one of the reasons for Morning Musume’s longevity was the member changes and how it helped me as the creator to always see the group in a fresh light. I’d see the new members’ personalities and write the lyrics and songs based on them. Their members were constantly changing for the past twenty years, and that made it so that it never got old for me. I’m grateful that they’ve gotten to go on for so long. 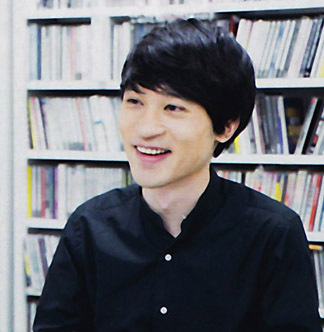 Koide: There were surprises from the very beginning: the group was formed, and almost immediately they got new members. Tsunku♂: It was kind of a taboo in the world of entertainment at the time. Up until then, the way groups worked in Japan was exactly like… well, not exactly like a youthful baseball drama, but it was like: “This team is us nine members! It’s no good if any of us quits! If you’re out, then I’m out!” The fans would cheer on these groups that were like something out of the stereotypical story of youth like that. That’s still how it works with bands: if one of the members leaves then the band has to break-up, or they have to form a new, separate band with the members that are left. It’s just part of the Japanese aesthetic. But overseas? Even if the vocalist leaves, the band will just get a new one and keep going with the same name. That’s the norm over there. Tsunku♂: A strategy to change the current norm — that’s something that might not sit right with most Japanese people. But that’s what we did when we made the ultimate decision of adding more members to Morning Musume. After all, “ASAYAN” was an audition program and if we wanted them to keep covering Morning Musume we had to give something back to the agencies and the sponsors. So, our strategy was to continue the auditions. Koide: I think it could be said that Morning Musume became like role models for current idols in their way of doing member additions and graduations. A lot of idols today follow the example set by Morning Musume and Hello! Project in how they operate. They really were pioneers in that sense. Tsunku♂: Perhaps one of the reasons they became so widely accepted was because of how easy to understand they were. Koide: Please tell me a little bit about your roots. I like to think of you as an otaku: you’re knowledgeable about TV drama shows and yakuza movies and I have this image of you being in possession of at least five thousand manga volumes. Tsunku♂: When you think about it though, five thousand books isn’t actually all that much, is it? If you tried starting up a manga cafe, five thousand books wouldn’t be anywhere near enough. Koide: Okay, maybe it’s not that much if you’re comparing it to the inventory of a manga cafe. (laughs) But also, in your elementary school years, you would be diligently checking out music that seemed like it could be the next big thing and you’d be telling about it to your friends, right? Koide: Almost like a DJ — wanting to spread whatever gets picked up by your antenna, going all “guys, this is amazing!” There are many different types of otaku, but I see you as mostly someone who can dig up new things; someone who’s meticulousness helped him to develop a very keen sense for analyzing things. Tsunku♂: The way I see it is that I’m a jack of all trades; master of none. Sure, I have my antennas pointed in all kinds of directions, but never too deep into the world of subcultures — I feel like if I went too deep in that direction it’d make me get too out of touch with society. Koide: Who was it again that opened your eyes to the world of idols? Sakakibara Ikue? Tsunku♂: No, that would’ve been Nishikawa Mineko — when I was still in kindergarten. I vividly remember thinking how cute she was when she won the “Zen Nihon Kayou Contest.” It was through her that I got hooked on Sakakibara Ikue and Ishino Mako. Koide: Manga, drama, idols — among your many interests, would you say that music in particular was something special to you from the beginning? Tsunku♂: Yeah. This is something that I feel especially strongly now that I’ve become unable to sing. Looking back, a part of it was that singing, to me, was something that allowed me to discover who I was. Koide: Was that even before the band was formed? Tsunku♂: Back in my lower elementary school years, I sang and won the recreational contest of our class. When I sang the Southern All Stars’ “Nijiiro THE NIGHT CLUB” in my second year of junior high, everyone seemed to really like it. Then when I got the hang of vibrato and tried doing a Kuwata impression, they praised me and even gave me applause. Koide: So those were some of the early, formative experiences of your musicality. Koide: When I think to myself “what constitutes Tsunku♂?,” I feel like your power of imagination has to be one of the biggest pieces of the puzzle. Or, to rephrase, it’s your ability to imagine things in so much detail. Like… I feel like the horsepower of your “imagination engine” is completely off-the-charts. Tsunku♂: That’s how you feel when you read my lyrics with the theme of young girls being in love? Koide: I do. In my case, I’ll be reading a shoujo manga and I’ll think “oh, so this is how girls are like.” Or I’ll be watching a TV drama and I’ll think “oh, this seems to be a situation that girls find themselves in a lot.” I’ve accumulated a bunch of ideas as to what I think goes on in the minds of girls. But when I try to build something based on that image source, I feel like I’m always unable to go beyond that frame of mind. 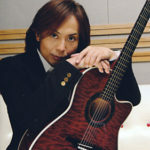 Tsunku♂: Which lyrics of mine are you thinking of in specific? Koide: Age-wise, I assume the girl in “Semi” is an elementary schooler, right? She spends her summer vacation out in the countryside with her little brother. Like, I might be able to write lyrics that can invoke feelings of nostalgia just by remembering what it was like to have to go spend my summer vacation somewhere, but your song includes lyrics about love towards the boy the protagonist likes. I believe you were in your thirties when you wrote those lyrics… I’m in my thirties now myself and I just can’t imagine how someone my age would be able to grasp those kinds of feelings of, say, a 12-year-old girl. Tsunku♂: Well, the members themselves were all elementary or junior high schoolers back then. The thing is, kids tend to follow their parents only up until the second year of junior high school or so — if that. But until they hit that point, the parents will be actively watching over their child and the child must play by their rules. Although they might want to say “I have to go to camp with my school club friends” or “I have to study for my entrance exams, so you two (mom & dad) just go by yourselves,” the fact of the matter is that if the parents say the child is going, then they’re going. The child can’t just disobey their orders. Not yet. And so the protagonist unwillingly spends her summer vacation out in the countryside with her little brother. At first she’ll think “blah, I don’t want to go.” But she’s still only a child — after spending four or five days there, she’ll have forgotten all about ever having had any gripes about going in the first place. Then, when it’s almost time to go home, she remembers the face of the boy she likes and she starts to get excited. “I’ll be able to see him again soon…” I simply turned that mental image into a song. There was really nothing more to it than that. Koide: No way! I mean, listen, when you explain it to me like that, beat-by-beat, it does make sense of course. But what I’m saying is: the average person simply isn’t equipped with that kind of power of imagination. (laughs) Also, I suspect you may have some pre-existing samples for those sorts of mental images. Like, maybe there was a girl you knew in your past who told you a story similar to that. Or maybe you simply analyzed the girl and figured it out by yourself — “this is what girls must be like.” I feel like if you don’t have something at the root of your power of imagination, it’d be difficult to reach as far as you have. Tsunku♂: Let me try putting it this way. I attended a public elementary school. Every class would have about 40 kids or so — that’s 20 boys and 20 girls. Do you remember the names of all your former classmates? Tsunku♂: I hardly remember any of them at this point either. But back then, I knew all of them. Koide: And not just their names but also their personalities, right? Tsunku♂: What I do remember even now is walking past the house of this one girl and how there would always be the smell of braised food in the air. Or, when I’d walk past the house of another girl and notice how their dog would always be barking. Koide: When I try to look back, it’s true that I’ll remember little things like that about the girls in my class. “This girl was like that,” that kind of thing. But taking that and linking it all to a song, I feel like that’d be a challenge on a different level entirely. Tsunku♂: I remember there being this one girl who was from somewhat of a poor household. She was so quiet in junior high school, and the boys would taunt her: “how about you say something!” Then, after she’d become a high school student, I remember how I once saw her greet a boy who walked up to her — wearing the uniform of a different high school — and they walked off somewhere, holding hands. She was walking with such a happy expression on her face. I remember thinking “man, good for you.” Witnessing that scene made me get into a lyrical mood, and so I ended up writing a song about it. Tsunku♂: To return to the classroom topic: I have a feeling that ever since my elementary school years I was always observing those 20 girls, without any bias, just trying to analyze them. Koide: I see! That sense for aesthetic must’ve later helped you during the many auditions. Do you also have a sense that tells you how cute any given girl is going to become in the future? Tsunku♂: The thing about that is, being cute is in no way a guarantee that you can become popular. In the world of show business, looking a little bit different than everyone else is what fascinates people. That’s part of what makes idols so fun. Koide: In addition to your power of imagination, I feel like another big component that makes you you is your hospitality. I know your parents are shop owners — could the source of your hospitality be them being business owners? Tsunku♂: My wife is someone who likes all the little events that department stores do every now and then. She likes that sort of festive atmosphere. But as someone who grew up in a shopping district, there was a clear sense that if there was a festive mood in the air, it was always us who were organizing it. Ever since I was little, I was accustomed to large groups of people gathered around me and I loved getting them all fired up. So even now when I go to events like that, I always feel like walking over to the shopkeepers’ side. Koide: Helping your family with customer service like that, you’d have to think in terms of “what do I say to our customers to get them to buy our things and feel good about it?” It must’ve cultivated your communication skills, too. Tsunku♂: Oh, for sure. “Walk up! Walk up! Welcome!” Even just calling up the customers was enjoyable for me. But now when I go with my family, I get to enjoy the experience as a customer, too. It’s been fun learning all sorts of things just through doing that. Koide: Another big thing that makes you even more of a rare case is the fact that you’re the president of a production company. I don’t think there are many other musicians like that out there. Tsunku♂: Well, there are plenty of musicians who run their own companies. I don’t think that’s something that makes me particularly special. Koide: This year it’ll have been ten years since you first founded your company, right? Tsunku♂: Before that, I also established what is now called J.P Room. So if you take that into account, I’ve been doing this for about 15 years now. Koide: Reading your books in chronological order, I thought it was quite fun to see how your early works were written from a producer’s viewpoint, and then they gradually started moving into more of a managerial perspective. “Ichiban ni Naru Hito” (2008) and “Kudoku — Hito wa Kanarazu Kokoro wo Hiraku” (2010) didn’t really come off as books written by a music producer — they were a step beyond that. It’s amazing how you can approach things from such different perspectives. Koide: What do you mean by “distant”? Tsunku♂: I’d think that earlier in their lives most of them probably fancied some senior of theirs from school, or some idol boy perhaps. But then they’re suddenly thrust into the world of entertainment when they’re in junior high school or so, and suddenly it’s like “wow, it’s Tsunku-san!” They think about how they have to pay attention to me or else I won’t give them lines, or how I might place them in the back row. And so they all look at me very intently — which I can sense them doing of course. But the moment they find themselves a boyfriend, they stop doing that. They’re no longer looking at me. I mean, their eyes are… but not their feelings. Koide: You can tell by something so subtle? Tsunku♂: It’s very easy to tell. No girl would be able to hide it when she falls in love for the first time. There’s that sparkle in her eyes. You can see it in their eyes: they’re thinking about how, rather than doing their best to receive whatever line they’re singing right now, they’re more eager to just get home as soon as possible. Koide: In your time working as a music producer, you’ve stated before that Morning Musume’s “LOVE Machine” becoming a hit in ’99 was what got you “into the zone” for a period of several years. Could you speak a little bit about what that feeling of the “zone” was like? Koide: This period you say lasted for a couple of years, was it instantly obvious to you when you’d entered it? Tsunku♂: It was as if I was suddenly seeing all these roads I could go down on while distinctly knowing that each one of them was a good one to take. I’m sure Akimoto Yasushi has been there, too. As has Komuro Tetsuya. For a more recent example, I’m sure that Shimada Shinsuke, the producer of groups like Pabo and Shuuchishin, has experienced it, too. Koide: It’s not like everyone can get into that zone though, right? Tsunku♂: I wouldn’t be able to answer that unless I was that specific person myself. I actually wonder if the creators of the generations to come will ever be able to experience anything like it. That’s something I’d like to know myself. Because the sad reality of it is that in this day and age CD’s no longer sell. Koide: Your feeling is that the music industry itself has made it impossible for anyone to reach that zone at this point? Tsunku♂: Well, no, people always find loopholes. He may not be the best example of what I’m talking about, but take someone like Pikotaro for instance. He proved that Japan is not even our only market. Koide: I was actually meaning to ask how you personally feel about Pikotaro. Tsunku♂: I showed his video to my children and they gave an immediate reaction: they were imitating him in no time. Koide: He even made a buzz overseas. People from all over the world were doing Pikotaro imitations. Tsunku♂: Whenever I see something like that pop up, I always feel quite frustrated. Koide: Frustrated in what sense? Tsunku♂: In that you simply can’t discover that sort of thing unless you know where to look. 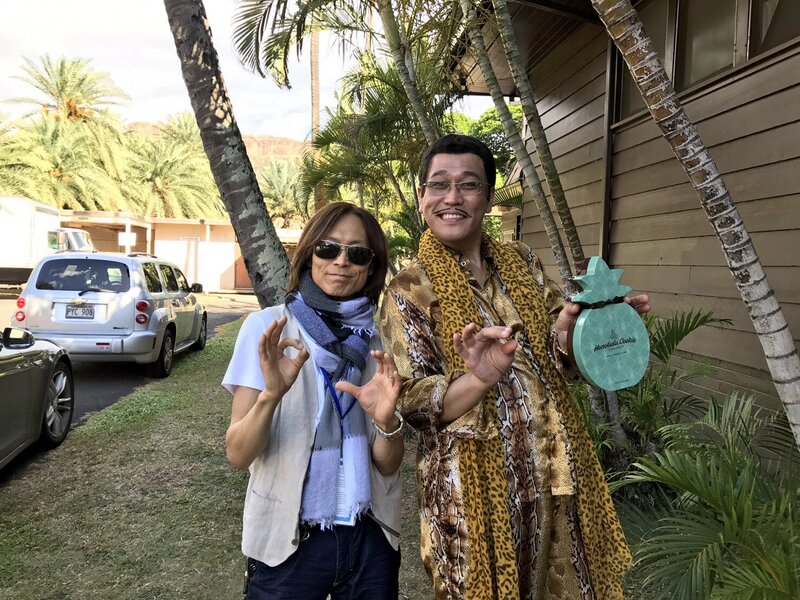 Koide: Pikotaro apparently spent a long time looking for the best possible rhythm: in a blog post he made a year and a half ago he wrote about how “he had a plan” and how he was going to “give it shape next year.” It turns out that what he was talking about was that video. 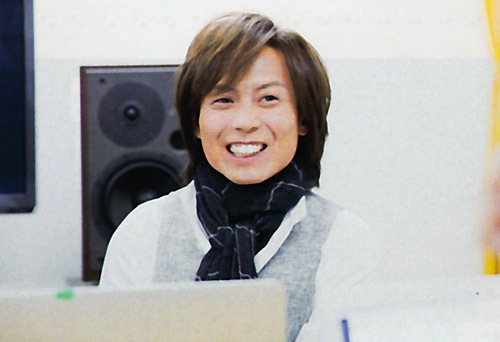 Tsunku♂: He did a lot of careful analysis on all kinds of different rhythmical jokes before finally discovering how he wanted to do it himself. Koide: He must’ve dedicated a long time to getting it just right, and that’s how it was born. Tsunku♂: I feel like even something like Oriental Radio’s RADIO FISH could have been a million seller if it was released 20 years ago. That one made me go “oh man, they’ve beat me.” But you know, I would think both Pikotaro and Oriental Radio must’ve always liked the kind of thing they’re doing now. I believe what they’re doing is an extension of something they’ve liked from before, because things like that always begin with a love of something. Koide: That was from a ’02 interview, so it was 14 years ago. If anything, that sounds like something someone might say today. I seem to remember most people at the time still thinking music in digital form becoming mainstream would be next to impossible. Even so, you correctly predicted that it would be the era of online music distribution and people reading internet articles rather than books. Koide: Wow. All of us band guys are now thinking exactly along the same lines as you did 14 years ago. All around the globe there are less and less CD shops around and yet, miraculously Japan alone is showing its “Galapagos colors” in how CD’s are still a thing here. It’s like Japan is the last stand for CD’s. How do you imagine the music scene of Japan changing in the future? Tsunku♂: The music industry of Japan is somehow just barely able to stay afloat at the moment. I’ve been doing some thinking on this subject. Are there clues as to how to fix this current situation? I don’t know if it’s online distribution or YouTube or something else, but there’s definitely that fastball waiting around the corner somewhere — and there’s a need for it to be pitched. Koide: Around the same time you made that previous comment, you also said the following in a discussion with Nagabuchi Tsuyoshi. “I want to strengthen the music of Japan — the foundations of Japanese music — and present it to the whole world, telling them to listen and hear just how interesting the music of Japan actually is!” To me, it feels like Japan’s music is just about on the verge of finally receiving that acknowledgement. Tsunku♂: What makes you say that? Tsunku♂: What I find myself thinking about though is how do we really get to the root of things? Koide: Which is to say…? 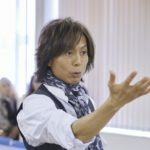 Tsunku♂: I feel like for most people overseas, it’s something like, “look at this funny Japanese thing I found.” It’s almost like they’re bringing back a souvenir from Japan and they’re saying “hey, I bet you haven’t seen anything like this before!” But that’s already missing the point. Koide: So it’s not part of the mainstream, you mean? Tsunku♂: Recently, I’ve been coming and going overseas more, and in doing so I’ve began to see the positives of Japan more clearly. Japan’s arts and crafts are all so detailed. When you have something that breaks? We’ll fix it and make it like new again. And yet, when you check out shopping malls abroad, most of the electronic appliances they have for sale will not be Japanese-made. The question then becomes: why would shopping malls all over the world not sell our superior products? Koide: And you’re saying it’s the same thing with our music industry, too? Tsunku♂: I have the confidence to say that if me or another Japanese producer was to produce idols abroad, we could make it a high quality production. But it’s not easy to just go out there and do it, nor are there even opportunities for us to do so in the first place. Going back to the topic of electronic appliances: it’s true that our consumer electronics are superior, but they can also be just vaguely too pricy. It might be that in this day and age of bipolarization — where something has to be either dirt cheap or luxury grade — maybe our electronics don’t quite fit into that model. Koide: Allow me one last question. You were previously asked a question by a peer of yours: “how does one become as successful as you?” You answered him with the following. “All you need to do is sleep one minute less than me and use that time to work harder than me.” If you were asked the same question today, how would you answer? Tsunku♂: Let’s see… Well, there’s two things. The first thing is, when you’re delivering an order to a client, always make sure that you’re delivering what has been asked of you and that you’d give yourself a minimum of 85 points for the effort. If they come to think of you as someone who’s comfortable to work with, they’ll want to ask you again. Or, you can go in the complete opposite direction and betray their expectations. “This is completely differently than what we ordered… but wow, this guy can do this kind of stuff, too? !” If you really surprise them, that may give you a chance with them as well. People who do that have potential for becoming successful. Koide: I see… So one must either go beyond all expectations or completely against all expectations. Koide: So you’re saying that while it’s ideal to be balanced as a supplier, when you’re an artist it’s best to have something that stands out? 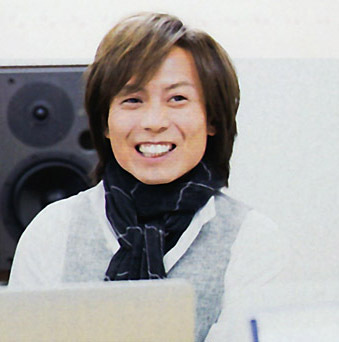 Tsunku♂: If nothing about you stands out, I feel like then you should at least be very good at a lot of things. Koide: That’s another answer I feel is very fitting for the current year: if you have no special talent that really sticks out, then become one of the all-mighty types who can do anything. More than someone of your type — someone great who just stands out — being someone who can simply do all kinds of different work in a well-balanced manner might be more real for the current times. Sort of like rather than aiming for that million-seller, aim instead for 100 releases that sell 10,000 copies each. Koide: (laughs) It has been a great honor to have you as the final guest of this column. Tsunku♂: You do your best now. Just remember to keep health as your top priority. Koide: There are lots of young artists, me included, who are trying to follow you in your footsteps. I’m going to take to heart what we talked about today and I’m going to aim for becoming the very best at something first. But if I find myself thinking that it just isn’t working, then I shall instead devote myself to becoming one of those balanced individuals who can do everything! ← Behold! The luxurious 1000 yen Hello! Project Curry! Interesting article, also quite a surprising reasoning why idols shouldn’t date. Tsunku seems to be of the opinion that they can’t put their feeling into their songs anymore when they start dating someone. I didn’t take from it that Tsunku was saying idols should or shouldn’t date, only that dating changes their priorities — suddenly, getting the most lines in a song or the most screen time on a TV appearance is no longer the only thing of concern in life. Right, but the surprising thing to me was that I always saw this argument of not dating as something that had to do with moral standards. I never made the connection how it would impact their performance at work. Hmmmm, the only time I’ve seen the issue couched in morality it came from Western sources. Most Asian/Japanese explanations are either it’s necessary for quality idol training (as Tsunku hints at here) or from the economic standpoint of it being what the idol fanbase in Japan demands. Tsunku’s own answer implies that it’s the latter case, right? The members did get boyfriends while they were still idols, but they didn’t get fired unless they got caught by the public, not by the company. Thank you, thank you, thank you for translating this. 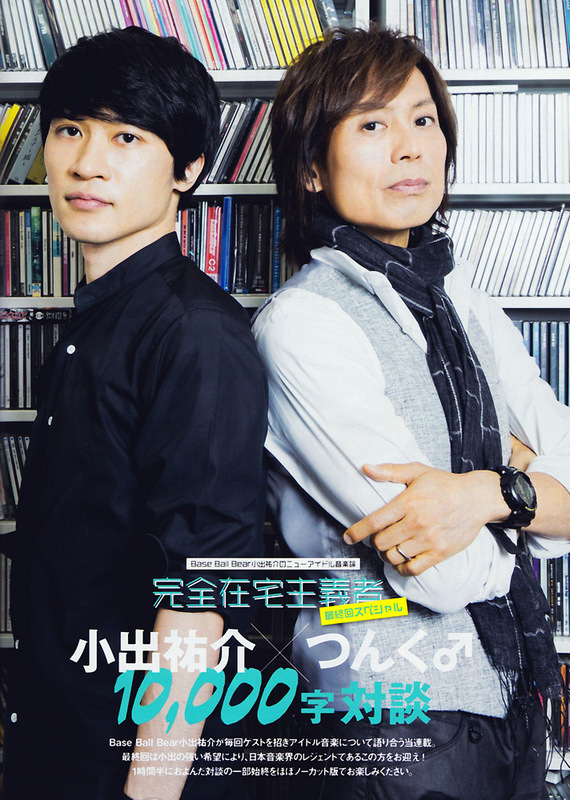 I especially loved the discussion about Tsunku’s youth as a shotengai kid. It’s a detail of his life I hadn’t seen talked about before, but it’s clear that it had a huge effect on the way he approaches entertainment. The differences we see in Hello Project since Tsunku stepped back make a lot of sense now, when I think about it. Tsunku’s successors seem to be looking at what their desired target audience thinks is cool and working to create a product in that vein. It’s a more analytical approach, like you might take if you went to business school. Tsunku’s approach is/was very grassroots. He built H!P by trying to get people’s attention by whatever means possible, utilizing multiple strategies back to back or simultaneously, like his family and the other families on the shopping street would have. It worked exceptionally well at the beginning of Morning Musume because the 50,000 CD challenge likely reinforced for the members and staff at the time what it meant to have that ethos. Both methods have their merits. I personally prefer the romance of the grassroots approach. I’m glad you enjoyed it. Thanks for the thoughtful comment! Eeeh? Another post? Henkka ya old man, don’t overdo it at the end of the year. 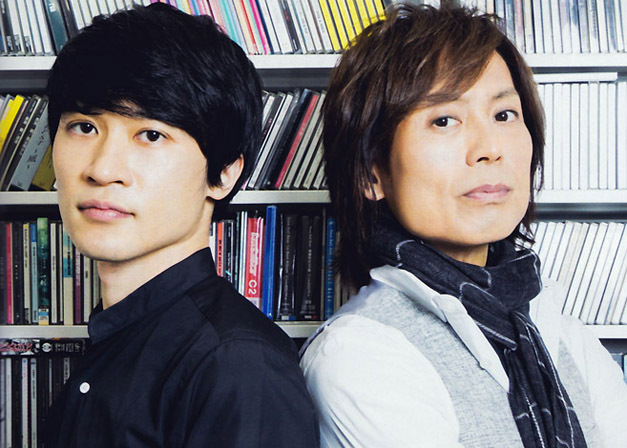 one of the best interviews of Tsunku… thanks for the translation! Thanks so much Henkka, I truly enjoyed this read. In regards to the dating comment, maybe I’m misunderstanding, but it seemed to me more or less like Tsunku didn’t personally care whether or not the girls dated… I didn’t read it as he was saying them having other interests was a bad thing. The point was made that the girls can’t possibly express emotion in performances about something they can’t empathize with and it’s unrealistic to expect them not to have experiences like that themselves, and that maybe even having those experiences can make them better performers (as H!P really emphasizes facial expressions and all that when performing). I wonder if Tsunku agrees with the no dating rule for idols? Has he ever said so? Though I know, like with most people, his feelings have possibly changed over time, so maybe things he’s said in the past wouldn’t be much use now. I feel like the idol industry as a whole is slowly moving away from it, but as long as there’s enough people supporting it, or at least making enough of a fuss when another girl is caught, companies will continue to enforce it. I suppose because keeping those types of fans happy is what puts the most money in their pockets, as they’re the ones bulk buying and going to multiple shows a tour and throwing every dime they’ve got at the “product”. It saddens me sometimes that these often young girls have to be put in that position for the sake of money… when all they wanted to do was sing and dance, like the H!P girls they so admire. And in a way, that’s what they were lead to believe they were doing. Thanks for the comment. I was going to reply to you directly, but it got a bit long. I think I’m going to make a new post about this entirely. I’ll try to publish it this evening. Thanks a lot for this translation! This was such an interesting read. I would love to comment on each and every topic discussed in this interview because I just can’t pick just one or two that I felt were important or surprising. But since this would be over the top I’m not commenting on anything in particular. I definitely have to come back and re-read this interview. Are you by chance also planning to translate the Hashimoto Shin interview of this series? Sorry to disappoint, but I’m not going to translate that one. I read it, but I just found it a bit “meh.” I don’t know, maybe it was just me. It could be worth a read. For anyone that’s curious, the Hashimoto interview was published in B.L.T.’s June 2016 issue. Tsunku being a total analytical wonk is always a wonderful read. Thanks so much for making that accessible to us, Henkka! And then their insights into how Pikotaro precisely calculated his big meme were super enlightening. There are many things that go viral organically, but we also have professional shitposters and meme channels. People can go viral with a good work ethic. And internet celebrities are very much following and beholden to the same models of popularity as idols, in ways our western music and actor celebrities are not. Hehe. Pikotaro the professional shitposter. I like it. Thanks for the comment. EXACTLY. this is one great reason why I support the Love Ban. There are others. Tsunku is a gift. Thank you for this translation so very much! !